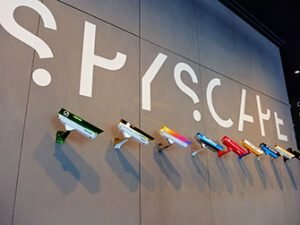 The SPYSCAPE Spy museum in New York introduces you to all facets of espionage. Are you interested in secret services, like the FBI and CIA? Do you think you could cheat a lie detector test? Or do you want to find out what kind of spy you would make? Then visit this museum and discover the world of espionage with assignments, rare objects and true stories! 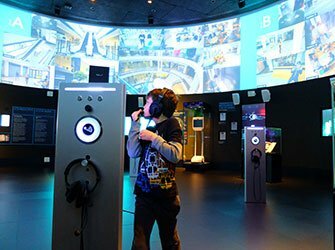 A visit to SPYSCAPE is included with the New York Sightseeing Flex Pass. SPYSCAPE is located in a modern-design building, with a total area of no less than 5,600 square metres. The adventure begins as soon as you enter the enormous lift. Here, you’ll watch a film briefing you on the upcoming assignments. This way you’ll be well prepared and able to get started right away. 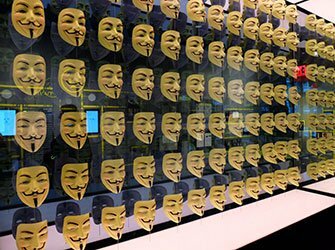 The museum is divided into seven sections, and each deals with a different espionage theme such as cyber warfare, deception and intelligence services. All visitors receive a wristband; when scanned at each section it retrieves and logs details of the assignment. For example, at ‘Surveillance’ you can test your security skills by finding out how quick you are at finding people on surveillance cameras. Then, at ‘Deception’, you watch a number of interviews and decide whether the subject is lying, or telling the truth. When you have completed all assignments, the results are analysed and you’ll discover what kind of spy you are. Are you a spy catcher, a technical ops officer or better suited to one of the other profiles? Eric’s Tip: SPYSCAPE is a mix between an ‘experience’ and a museum. Espionage throughout the ages is all covered, including current themes like privacy and social media. I found the experience surprisingly fun. Visit this attraction on a rainy day or after you have seen all the well known sights. SPYSCAPE is a bit too complicated for very young children, it is more suited to kids from 10 and up. I spent around an hour visiting SPYSCAPE, so you don’t lose too much time here.